At the additional sitting of the Riigikogu, the Act on Amendments to the Alcohol, Tobacco, Fuel and Electricity Excise Duty Act, initiated by the Government, was passed with 66 votes in favour. With the Act, the alcohol excise duty will be raised by 5% per year in the period 2013–2016. According to the explanation of the initiator, with the 5% increase of alcohol excise duty rates, for example, the price of beer (1 litre, 5% vol) will rise from 1.8 euro to an estimated 1.82 euro, the price of wine (0.7 litres) will rise from 7 euro to 7.04 euro, and the price of vodka (1 litre, 40% vol) will rise from 12 euro to approximately 12.36 euro next year. 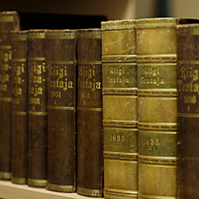 The Riigikogu approved with 66 votes in favour the Act on Amendments to the State Fees Act and Other Acts, initiated by the Government. Its aim is to increase the state fee payable for driving licences and identity documents issued at foreign missions and documents issued by way of consular service such that the state fee rates established would cover the costs incurred for issuing or granting the document. The amount of the revenues is expected to increase by up to 500 000 euro per year. On the motion of the Rural Affairs Committee, the second reading of the Bill on Amendments to the Animal Protection Act and Other Associated Acts (288 SE), initiated by the Government, was concluded. The amendments bring the Animal Protection Act into conformity with European Union law. The aim of the Bill is to reinforce the protection of experimental animals used for scientific or educational purposes and to reduce the suffering of animals before slaughter in the meat industry by improving the state of the art of the meat industry, and to harmonise the conditions of competition for them at European level. The motion of the Centre Party Faction to suspend the second reading was not supported by the Riigikogu (16 in favour, 62 against). The Bill was sent to the third reading. On the motion of the Environment Committee, the first reading of the Bill on Amendments to the Environmental Charges Act (310 SE), initiated by the Government, was concluded. The Bill amends the distribution of the mineral resources extraction charge received from deposits of national interest and the related fee for the special use of water. The quality and amount of the mineral resources in such mineral deposits is of significant importance for the economic development of the state and the environmental impact of the extraction extends beyond the boundaries of the local government of the location. The aim of the amendment is to equalise, with the charges, the opportunities of local governments to improve living environment. The motion of the Centre Party Faction to reject the Bill from the legislative proceeding was not supported (17 in favour, 55 against). The Bill was sent to the second reading. On the motion of the Legal Affairs Committee, the second reading of the Bill on Amendments to the Imprisonment Act and Amendments to Other Associated Acts (264 SE), initiated by the Government, was concluded. The Bill is intended to resolve the issues that have arisen in practice in execution of imprisonment and the organisation of prison service and to ensure better control over convicted offenders who are subjected under the supervision of a probation supervisor. The Imprisonment Act is amended by adding cases in which a prison has to refuse to allow long- or short term visits to a prisoner. It establishes a possibility to impose an electronic surveillance device which is attached to the leg of the prisoner as an additional guarantee to a prisoner who is allowed to move around outside the prison in connection with studying, working and other similar activities. The Imprisonment Act is amended by adding provisions which allow prison service officers to react to violations of law which are directed against the prison but are committed outside the boundaries of the prison. The motion of the Centre Party Faction to suspend the second reading was not supported (13 in favour, 52 against). The Bill was sent to the third reading. On the motion of the Legal Affairs Committee, the second reading of the Bill on Amendments to the Commercial Code and Other Associated Acts (307 SE), initiated by the Pro Patria and Res Publica Union Faction and the Estonian Reform Party Faction, was concluded. The drafting of the Bill was motivated by changes in the regulation concerning the processing of the commercial register and the land register, and implementation of the new processing software of the commercial register. The currently used software is on Oracle Forms platform which has become technologically outdated by now. In addition, the regulation has been changed as regards the connection between registration departments and their territorial jurisdictions, and viewing the data of the commercial register. Under the new regulation, registration departments have been granted a possibility to process petitions for an entry which have been submitted to other departments and to make entries on registry cards the maintenance of which is in the competence of another registration department. The motion of the Centre Party Faction to suspend the second reading was not supported (17 in favour, 50 against). The Bill was sent to the third reading. On the motion of the Legal Affairs Committee, the second reading of the Bill on Amendments to the Marital Property Register Act, the Notary Fees Act and the Civil Status Acts Act (308 SE), initiated by the Pro Patria and Res Publica Union Faction and the Estonian Reform Party Faction, was concluded. The aim of the Bill is to create preconditions for transition to an electronic marital property register, implementation of electronic registry cards and files, and simplifying viewing the data entered in the marital property register. The motion of the Centre Party Faction to suspend the second reading was not supported (12 in favour, 51 against). The Bill was sent to the third reading. On the motion of the Environmental Committee, the second reading of the Bill on Amendments to the Environmental Charges Act (282 SE), initiated by the Government, was concluded. The aim of the Bill is to change the maximum rates of the natural resource charges in order to enable, through changing the charge rates, more efficient use of natural resources and to value water resources by promoting more sustainable use thereof. The Bill increases the rate of the environmental charge payable upon disposal of oil shale residue by 20% per year as of 1 April 2013, on the model of the charge rates for oil shale fly ash and semi-coke which will rise by 20% per year until 2015 according to the Act which is currently in force. The aim is, by raising the pollution charge rate, to reduce the dumping of oil shale residue and to motivate undertakings to recycle it. The motion of the Centre Party Faction to suspend the second reading was not supported (11 in favour, 51 against). The Bill was sent to the third reading. On the motion of the Constitutional Committee, the second reading of the Bill on Amendments to the Public Information Act (263 SE), initiated by the Government, was concluded. The Bill is intended to improve the legal order of Estonia in view of the infringements pointed out by the European Commission. 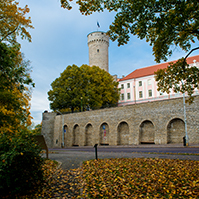 In the opinion of the European Commission, in Estonia, the rights related to the re-use of public information are not guaranteed or the solutions laid down in law are not specified with sufficient legal clarity. 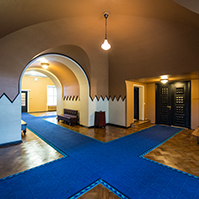 The purpose of the Bill is to provide more clearly the rules on the re-use of public sector information in the legal order of Estonia and to thereby stimulate the creation of new products and services by the private sector. According to the Bill, holders of information may not establish exclusive arrangements for re-use of information unless it is justified in the public interest. The validity of the reason for granting such an exclusive right shall be reviewed every three years. The aim of the provision is to regulate a situation where the monopoly of holding of information and release of information has been transferred to a third person who is not a holder of information. The Act is intended to create a situation where the re-use of documents would be open to all potential actors in the market, even if one or more market players already exploit added-value products based on these documents. The Bill was sent to the third reading. On the motion of the Finance Committee, the second reading of the Bill on Amendments to the Alcohol, Tobacco, Fuel and Electricity Excise Duty Act (280 SE), initiated by the Government, was concluded. The purpose of the Bill is to distribute the 10% rise of the excise duty rate on cigarettes which had been planned for 2013 to two years in order to manage the risks of the secret market resulting from the price rise. In 2013 and 2014, the excise duty on cigarettes will be increased by a total of approximately 12% in order to achieve the minimum rate of EUR 90 per 1000 cigarettes due to enter into force in the European Union in 2014. The Bill was sent to the third reading. On the motion of the Legal Affairs Committee, the second reading of the Bill on Amendments to the Bar Association Act and Other Acts (273 SE), initiated by the Government, was concluded. 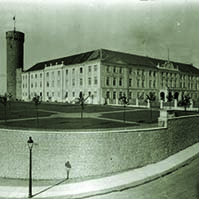 In view of the continuing growth of the number of membership of the Bar Association and the situation where the members of the Estonian Bar Association now outnumber the total number of Estonian judges, prosecutors, notaries, bailiffs and trustees in bankruptcy, the Bill aims to amend the Bar Association Act in regard to the organisational structure of the Bar Association so that it would better meet the changed needs, take into account the further development of the organisation and allow for relevant and timely action. At the same time, an enhanced cooperation of advocates and managers of law offices in the realisation of common interests and goals is needed. According to the Bill, the current three-grade structure of the Bar Association will be replaced by a two-grade structure and the status of the clerk of an advocate will be eliminated. The initiator is of the opinion that as there is no great difference any more between the competence of the senior clerk of sworn advocate and the clerk of sworn advocate, the three-grade membership pattern has no practical importance in the professional activities of advocates, and when the Bill enters into force, clerks of sworn advocates and sworn advocates will be members of the Bar Association. The members of the Bar Association acting as senior clerks of sworn advocates at present will have to pass the examination of a sworn advocate within five years as of the entry into force of this Act. If they fail to pass the examination of sworn advocate, they will become clerks of sworn advocates. The Bill was sent to the third reading. 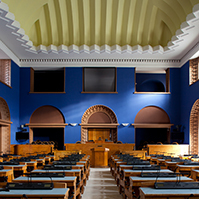 On the motion of the Constitutional Committee, the second reading of the Bill on Amendments to the Temporary Administration of Payment of Salaries related to Average Wages in Estonia Act, the Salaries of Higher State Servants Act and the Courts Act (279 SE), initiated by the Government, was concluded. 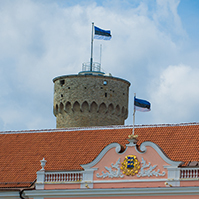 The Bill extends the validity of the Temporary Administration of Payment of Salaries related to Average Wages in Estonia Act which is currently in force and postpones the time of the entry into force of the Salaries of Higher State Servants Act. An exception concerning judges is introduced into the Act, as a result of which the salaries of judges will be raised as of July 2013 and the system of their special pensions is changed. The Bill was sent to the third reading. On the motion of the Finance Committee, the second reading of the Bill on Amendments to the State Budget of 2012 Act (298 SE), initiated by the Government, was concluded. The Bill concerns changes in the budget of the areas of government of ministries and the Chancellery of the Riigikogu, without changing the budget volume. A section is added which grants the Government of the Republic the authority to make arrangements for purposeful use of the funds received from the sale of permitted greenhouse gas emission units by auction. The section is added into the text because early auctions of the European Union Emissions Trading System for the period 2013–2020 will be launched as soon as at the end of 2012, and not in 2013 as originally planned. The Bill was sent to the third reading. On the motion of the Finance Committee, the first reading of the Bill on Amendments to the Land Tax Act and the Income Tax Act (299 SE), initiated by the Government, was concluded. The Bill is connected with the amendments to the Land Tax Act passed on 16 June 2011, according to which, as of 1 January 2013, the owner of the land or, in certain cases, the user of the land is exempt from payment of land tax on a land unit used as residential land occupied by buildings or as profit yielding land. The scope of the exemption provided for in the Land Tax Act is connected with land parcels located within yards, as regards profit yielding land. Upon application of the abovementioned tax exemption, the revenue received by local governments from land tax will be reduced. On the basis of the above, the rate of the income tax received by local governments will be raised with the Bill to the extent that would cover the loss of revenue by local governments due to the land tax exemption. In addition, the state will be exempt from payment of land tax on land used as land for non-residential constructions, the regulation is amended by adding provisions concerning the calculation of the land tax exemption in the case when the boundary of a high density area or the division line of a settlement unit passes through a cadastral unit, and the procedure for calculating the land tax exemption and incentive is specified. The motion of the Centre Party Faction to reject the Bill was not supported (17 in favour, 53 against). The Bill was sent to the second reading. On the motion of the Finance Committee, the first reading of the Bill on Amendments to the Financial Management of Local Government Act and the Local Government Organisation Act (311 SE), initiated by the Government, was concluded. The need to draft the Bill arose from the feedback on trainings of the development of the financial management of local governments and the preparation of a tool for financial planning. In order to improve the quality of the financial management of local governments and to support the making of meaningful financial decisions, it is necessary to formulate some provisions more clearly and to add some new principles. They have been drafted on the grounds that successful financial management is based on clarity of information and transparency of the process. The new rules have been formulated such that they would be sufficiently organising and systematising, but as flexible as possible, allowing to take into account the particularities of local governments. The net debt burden rule is changed on the basis of the principles determined in “The Budget Strategy of the State for 2013‒2016”. The aim is to ensure the financial stability of local governments in the unstable economic environment and to avoid potential financial risks. The motion of the Centre Party Faction to reject the Bill was not supported (20 in favour, 49 against). The Bill was sent to the second reading. On the motion of the Economic Affairs Committee, the first reading of the Bill on Amendments to the Maritime Safety Act and the Ports Act (300 SE), initiated by the Government, was concluded. The aim of the Bill is to simplify and harmonise the administrative proceedings applied to maritime transport by establishing a legal basis for using a single national electronic marine information system for individuals and state authorities. Another purpose is to bring the Maritime Safety Act and the Ports Act into conformity with European Union legislation and the requirements of international conventions. The Bill was sent to the second reading. On the motion of the Economic Affairs Committee, the first reading of the Bill on Amendments to the Electricity Market Act (318 SE), initiated by the Government, was concluded. The aim of the amendments is to set the support measures for electricity produced from renewable sources and in combined heat and power production regime into conformity with European Commission criteria for state aid, to organise the situation in the electricity market, to ensure the proportionality of support measures to the goal to be achieved and to adapt the support measures to the developing internal market of electricity, including to reduce the distortions of competition owing to the current renewable energy sources support scheme, and to reduce the unjustifiably high economic burden on consumers. For consumers, the amendment of the Act will bring the lowering of the renewable energy and co-production charge in the electricity price, according to forecasts, as follows: 0.97 euro cent/kWh in 2012, 0.80 euro cent/kWh in 2013, 0.84 euro cent/kWh in 2014, 0.82 euro cent/kWh in 2015, 0.90 euro cent/kWh in 2016, 0.83 euro cent/kWh in 2017, 0.81 euro cent/kWh in 2018, 0.77 euro cent/kWh in 2019 and 0.76 euro cent/kWh in 2020. The motion of the Centre Party Faction to reject the Bill was not supported (55 against). The Bill was sent to the second reading. On the motion of the Social Affairs Committee, the first reading of the Bill on Amendments to § 177 of the Employment Contracts Act (320 SE), initiated by the Estonian Reform Party Faction and the Pro Patria and Res Publica Union Faction, was concluded. The Bill reduces the minimum daily rate of the unemployment allowance from 50 per cent to 35 per cent of the minimum remuneration rate. The amendment is necessary for redistribution of the expenditure of the budget of the area of government of the Ministry of Social Affairs so as to cover the 3.5 million euro health care expenditure deficit which emerged from the agreement entered into for suspending the strike of doctors and health care professionals in October 2012. The motion of the Centre Party Faction and the Social Democratic Party Faction to reject the Bill was not supported (21 in favour, 52 against). The Bill was sent to the second reading. The sitting ended on Saturday, 1 December at 5.24. a.m.